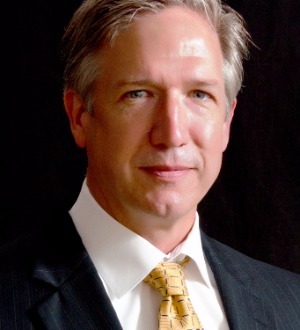 Lee H. Ayres is principally a trial lawyer. He has extensive experience in civil litigation, including business and commercial disputes, oil and gas litigation, property disputes, natural resources litigation, products liability claims, professional malpractice defense, trucking defense, personal injury claims, fraud claims, insurance coverage, and insurance bad faith defense. Lee received his undergraduate and law degrees at Louisiana State University Law Center, where he was a member of the Louisiana Law Review and the Order of the Coif, an honorary society of the top ten percent of each graduating class. He ranked 4th in his law school class. He was admitted to practice in 1988. He is licensed to practice in all Louisiana district and appellate courts and the Louisiana Supreme Court. Lee is admitted to practice in the federal courts sitting in Louisiana and the United States Fifth Circuit Court of Appeal. Lee is a Senior Fellow of the Litigation Counsel of America, where he serves as a Vice-Chairman of the International Institute for Environmental, Energy, and Natural Resources Litigation. Lee is also a member of the Defense Research Institute (DRI), the International Association of Defense Counsel (IADC), the Louisiana Association of Defense Counsel (LADC), the Bar Association of the Fifth Federal Circuit, the Louisiana State Bar Association, and the Shreveport Bar Association. Lee serves on the Board of Directors for the LADC Trial Academy, and he serves as a faculty member at the trial academy each year. Lee has also served as a faculty member for LSU Law School's Trial Advocacy Training Program. From 2006-2009, Lee was the State Representative for Louisiana to the DRI. In 2008, he was named as the Outstanding State Representative. Lee served on the Board of Directors for the Louisiana Association of Business and Industry (LABI) from 1994-2000. He also served on LABI's Executive Committee from 1998-2000. In 2001, Lee served on the Shreveport Bar Association's Arbitration Panel for fee disputes. Lee is a member of the Harry V. Booth - Henry A. Politz American Inn of Court.